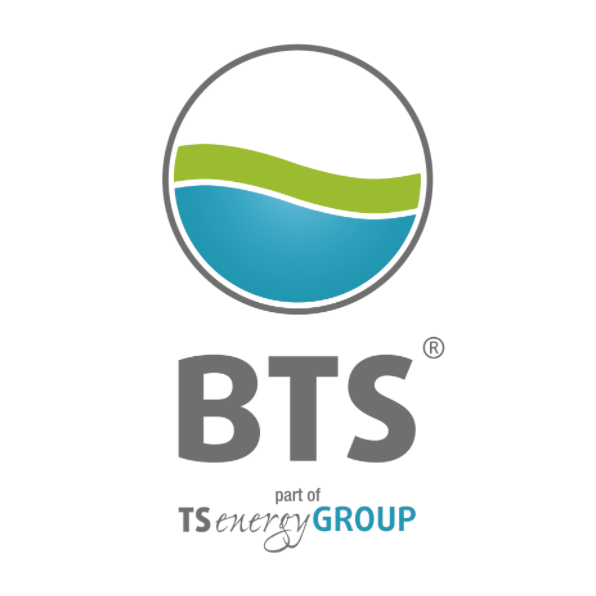 Biogas generated by BTS biogas power plants can be used not only to produce electricity, heat and cold but also biomethane. 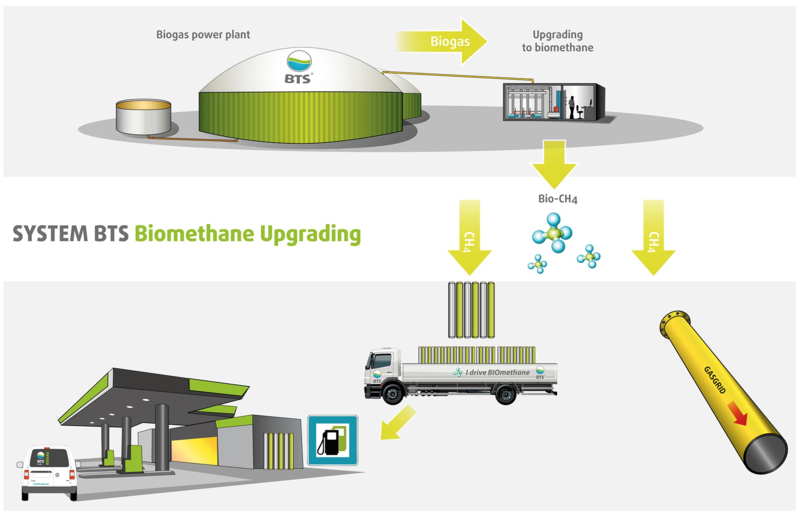 Through biogas upgrading (biogas processing), methane is separated from all other gases, chiefly CO2. 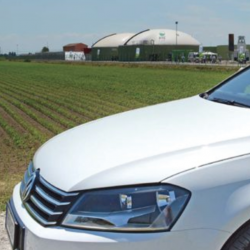 This upgraded gas discloses two new possible applications, on the one hand the typical supply into the existing methane network, on the other the use of biomethane as fuel for vehicles. Moreover 100% pure CO2(bioMETANm) can be produced, a gas which can be used especially in the food industry. In this process the biogas is first purified from hydrogen sulfide and then brought to higher pressure with a compressor. The methane is then separated from CO2 by means of membranes. A clever sequence of separation stages combined with CO2 recovery allows to separate 100% of the methane. The recovery of CO2 facilitates the 100% methane separation from biogas and subsequently provides food-safe CO2. To achieve these goals, after going through the membrane separation the part containing CO2 is further compressed. The CO2 is subsequently liquified, while non-condensable gases are separated within a downstream separator and conveyed again to the membrane unit. This process guarantees 100% pure CO2 for use in the food industry.